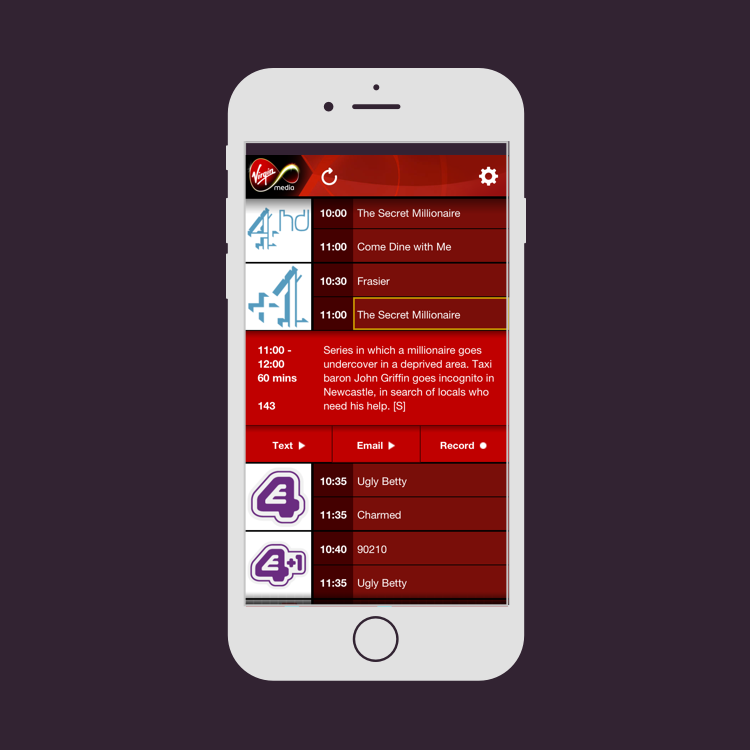 Since 2010 we’ve partnered with Virgin Media to shape their approach to mobile. From their first TV guide app, connecting to TiVo, national WiFi projects and quirky short film competitions. 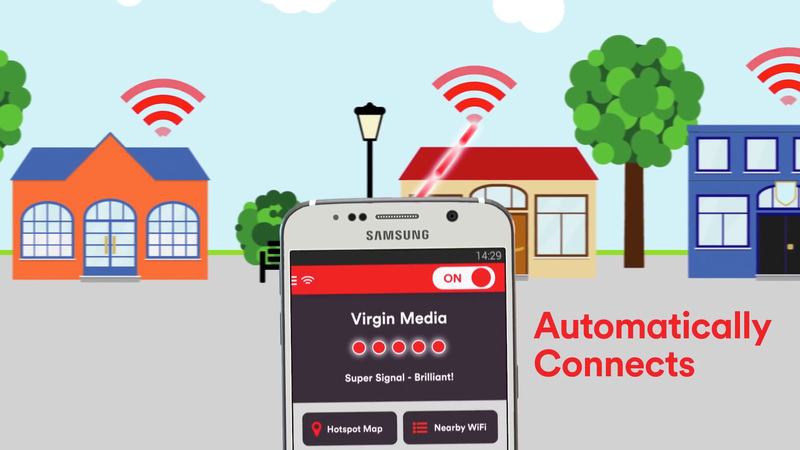 Our Virgin Media WiFi app lets your auto-connect to more than 22,000 WiFi hotspots in popular places around the UK. Hotspots are ready and waiting at your favourite shops, coffee shops, bars and restaurants. Saving over 500,000 users data costs and improving their experience. In fact, Virgin Media are so committed to WiFi hotspots they've partnered with Chiltern District Council to introduce the first public WiFi under your feet! Not happy with just providing internet on the London Underground, they're making ultrafast internet come out of the ground using the U.K's first Smart WiFi Pavement. Stay tuned as Virgin Media WiFi’s coverage will expand even further, as we help them pilot even easier access WiFi when out and about, wherever there is a participating Virgin Media Super Hub nearby. Get the Virgin Media WiFi app now to start saving today and be prepared for WiFi wherever you go!